Whilst recognition of the role and nature of creativity and interest in creative pedagogical practice has grown, tensions persist at several levels, particularly in accountability cultures, where international comparisons of literacy, numeracy and science frame, shape and often limit policy, practice and curricula. 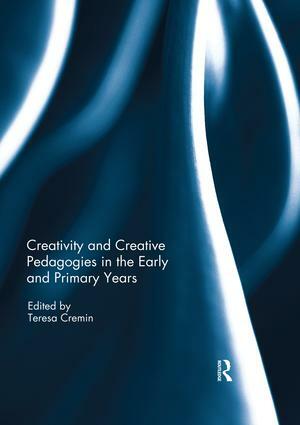 Responding to this context, the book draws together the work of a number of eminent scholars of creativity and creative pedagogies. It offers diverse perspectives from Colombia, Denmark, England, France, Poland, Hong Kong, and the USA and highlights differences as well as similarities across cultural contexts. Individually and collectively, the authors reveal both the complexities and the possibilities of creative pedagogies. While some focus more upon conceptual challenges, others examine classroom practice, both that of teachers and visiting artists, and identify difficulties as well as potential possibilities. In offering hope as well as challenge, creative approaches to learning are of interest to all educators. This book was originally published as a special issue of Education 3-13: International Journal of Primary, Elementary and Early Years Education. Teresa Cremin is Professor of Education at The Open University, UK, A Fellow of the English Association, the Academy of Social Sciences, a Director of the Cambridge Primary Review Trust and convenor of BERA’s Creativity SIG. Teresa’s sociocultural research focuses on creativity in teaching and learning, teachers’ literate identities and practices and the pedagogies of reading and writing for pleasure.